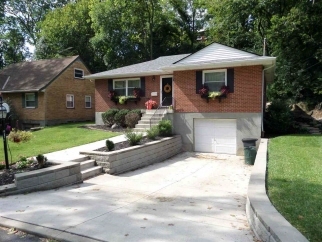 Description: Open house saturday 12-2 wonderful 2 bedroom brick ranch w 1 car garage. Updated kitchen w granite counters, ss appliances, wood cabinets & subway tile backsplash. Updated bath. Roof & furnace less than a year old. Newer walk & driveway & landscape wall. Large living room. Beautiful hardwood floors! Basement has tall ceilings & could easily be finished. Nothing to do but move! !